In a small bowl, add saffron strands and 2 tbsp warm water or milk and keep aside. Add 1 tbsp butter or ghee in a pan and fry cashewnuts and raisins. When cashewnuts turn light brown and raisins puff up, remove onto a plate and keep aside. In the same pan add the rest of butter and fry aval till they turn crispy, approx. 5 minutes. Add milk or water and cook on medium flame till aval is cooked and soft. Add saffron, cardamom powder and fried cashews and raisins and stir. Let the mixture come to simmer and take off fire. 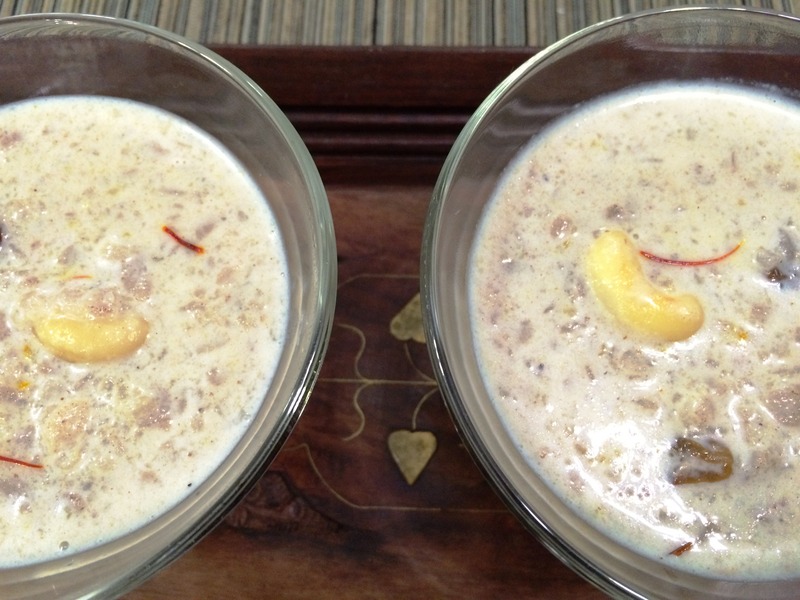 If payasam becomes too thick, add milk to bring it to the desired consistency. Notes: Red or white aval can be used. 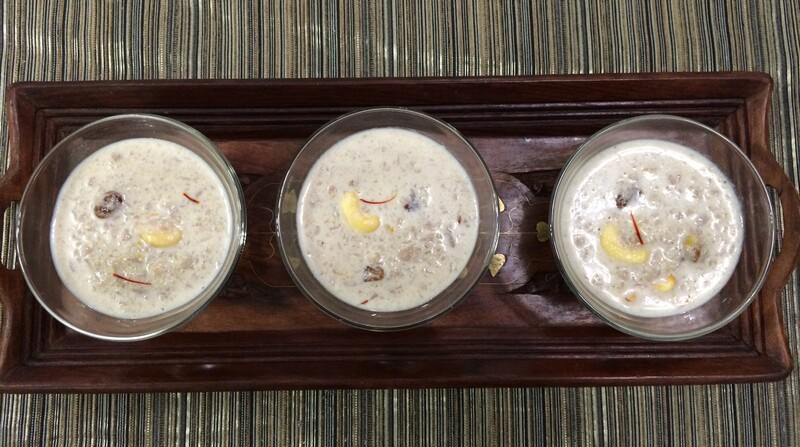 This entry was posted in Desserts/Sweets and tagged aval payasam, beaten rice flake, flattened rice, poha kheer, poha pudding, rice flake pudding by PriyaBaby. Bookmark the permalink.